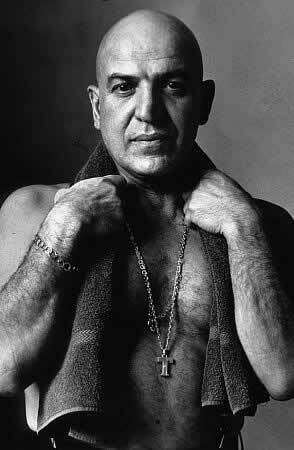 Telly Savalas (January 21, 1922 â€“ January 22, 1994) was an American film and television actor. He was nominated for an Oscar in 1963 in his first starring movie, Birdman of Alcatraz. He was also best known for his work playing the title role in the popular 1970s crime drama, Kojak, and for also playing Ernst Stavro Blofeld in the James Bond film On Her Majestys Secret Service. He co-starred with Angie Dickinson in the 1971 film, Pretty Maids All in a Row. Email the webmaster for comments or new suggestions concerning this site.